Honoring the life achievements of Martin Luther King Jr., Tidewater Community College annually recognizes three individuals who exemplify the civil rights leader’s dreams and goals. Rev. Kirk T. Houston Sr.
Rev. Kirk T. Houston Sr. was inspired at a young age by King’s words. The grandson of a Baptist minister, Houston read many of King’s sermons as a teenager, and was particularly taken with his message of altruism. During his long career in ministry in Hampton Roads, which stretches across nearly three decades, he has not only made a difference himself, but also empowered and enabled many others to make a difference – in their own lives and in the lives of their fellow citizens. From his earliest years in ministry, he has served the community, with a particular focus on ex-offenders and those still in jail. He founded a non-profit community service organization, Garden of Hope, which holistically fulfills the spiritual, social and physical needs of the poor, the disenfranchised and the powerless. Besides serving as chair of the Garden of Hope Community Development Corporation, he is chaplain to the Norfolk Sheriff’s Office, chair of the Norfolk Jail Ministry’s Board of Directors, and director of the Christian Student Fellowship at Norfolk State University. In 2009, he was appointed to the Norfolk School Board and was recently re-elected to his third term as chair. A believer in education and lifelong learning, Houston sees his role on the school board as another avenue of ministry, helping girls and boys become successful young adults. Michelle W. Woodhouse, provost of Tidewater Community College’s Portsmouth Campus, is known for her student-centered approach to higher education and for her willingness to guide and mentor not only TCC students, but also young people in the wider community. As provost, she constantly roams the hallways and classrooms, making sure the students know who she is and that she has an open door. Through her leadership and support of faculty and staff, the campus is thriving with innovation. In 2012, Woodhouse established “Call to Action,” an initiative embracing faculty, students and staff that is aimed at student success, engagement and service. Woodhouse became provost of the Portsmouth Campus in 2011 after serving in an interim capacity. Her education career – encouraged by her parents, who are also educators – began when she returned to her alma mater, Great Bridge High School in Chesapeake, as a teacher. Woodhouse joined TCC in 2006 as dean of Social Sciences and Public Services at the Virginia Beach Campus. 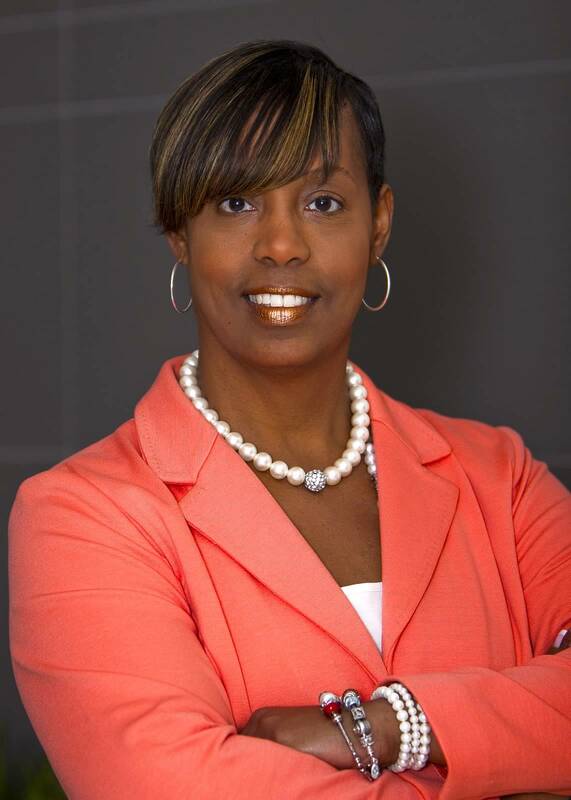 She gives time, talent and energy in numerous civic activities, such as chairing the education committee for the Portsmouth Partnership and serving on the YWCA Executive Board and Portsmouth Public Schools Foundation Board. She teaches in the counseling and education leadership program at NSU. She didn’t speak a word of English when she immigrated to the United States at age 16. Today Antonina Pashchuk eloquently describes the obstacles she has overcome and the volunteerism that has become an integral part of her life. Pashchuk is passionate about her volunteer roles. She is president of Family Readiness Group, a network of support services for her husband’s squadron, Carrier Airborne Early Warning Squadron-125. Later this year she will become the VAW-125 Command’s ombudsman. As a volunteer at Wave Church, she has taken part in school remodeling projects, cooks for those in need, assists with Angel Tree giving and participates in many other local activities. Pashchuk will graduate in 2014 with an associate of applied science degree and plans to be a physician’s assistant. She will transfer to Old Dominion University for her bachelor’s and would like to study at Eastern Virginia Medical School for a master’s degree. The 2013 winners will receive their awards and give remarks about their lives and inspirations at TCC’s Martin Luther King Jr. recognition event on Feb. 18 at 6 p.m. at the Roper Performing Arts Center.